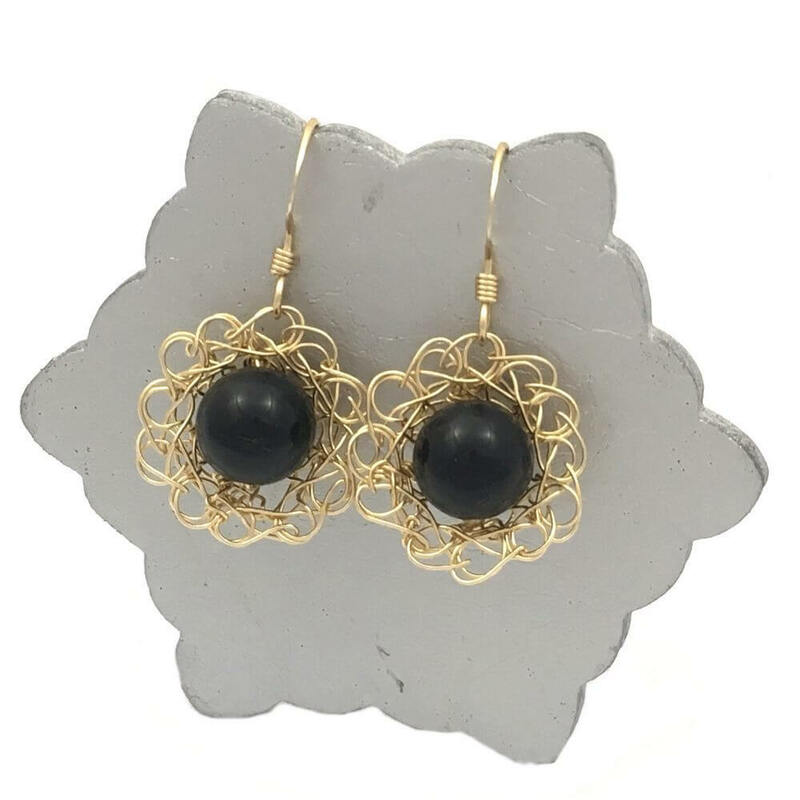 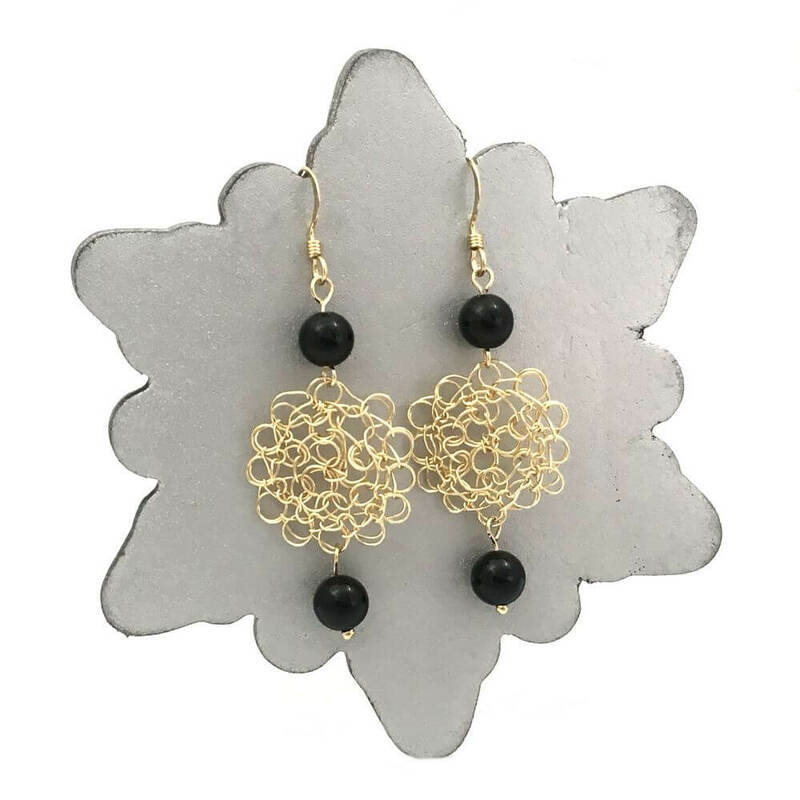 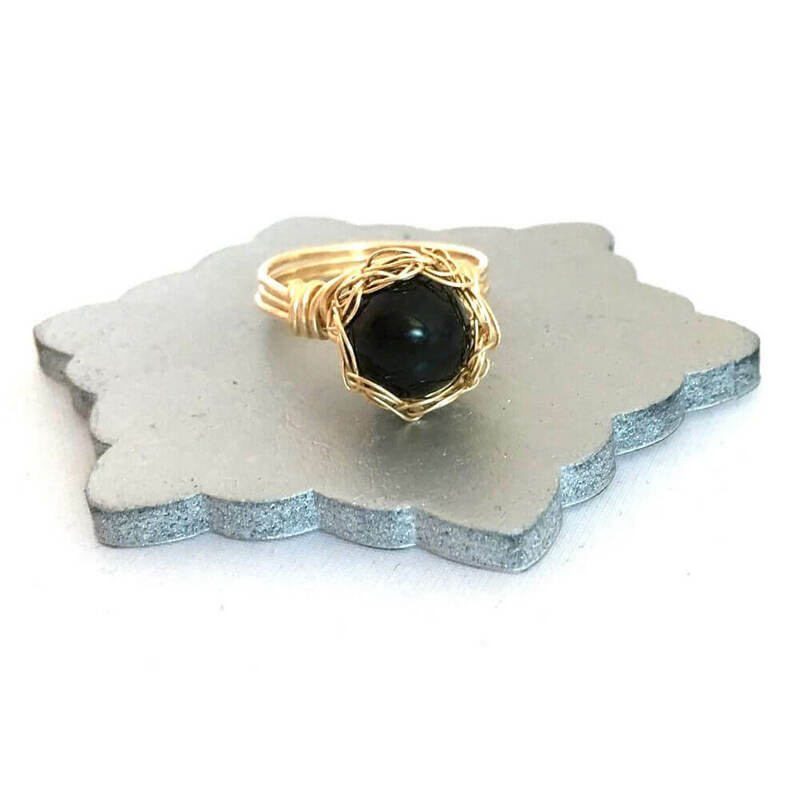 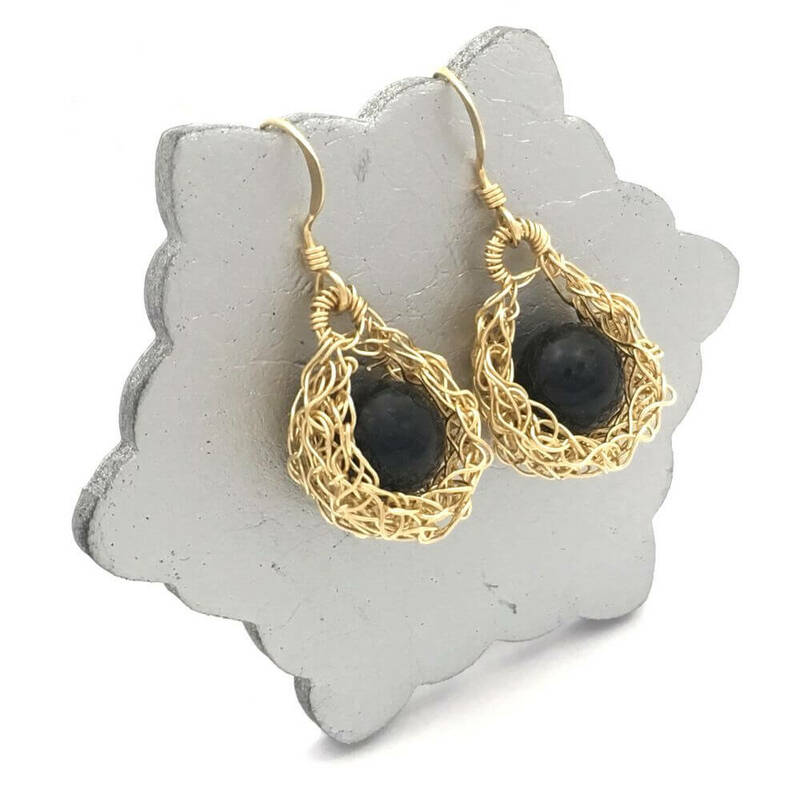 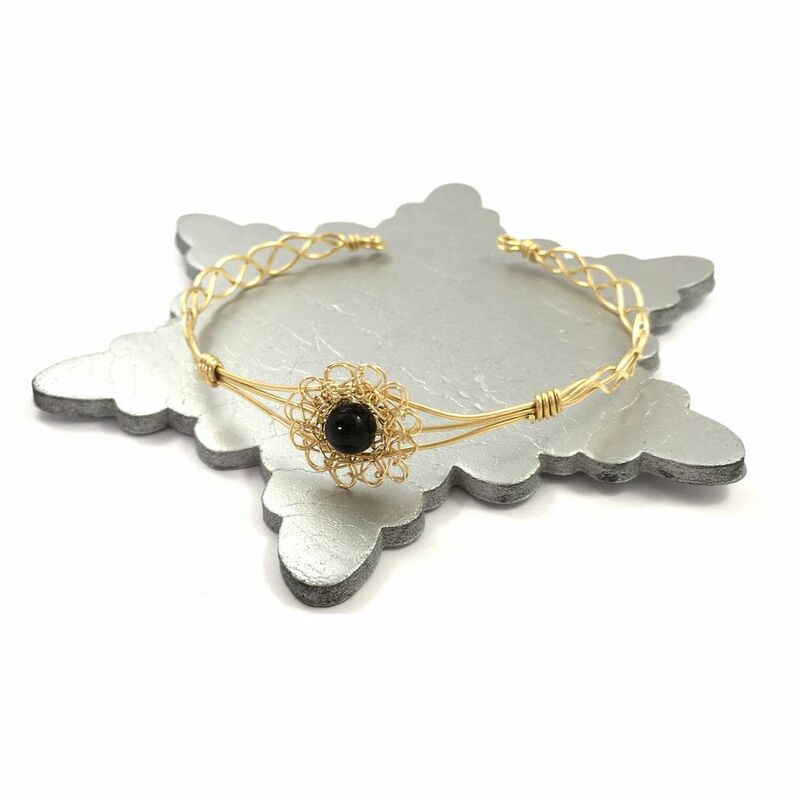 The dramatic contrast of the fine gold wire with the black onyx stone creates a sophisticated contemporary look. 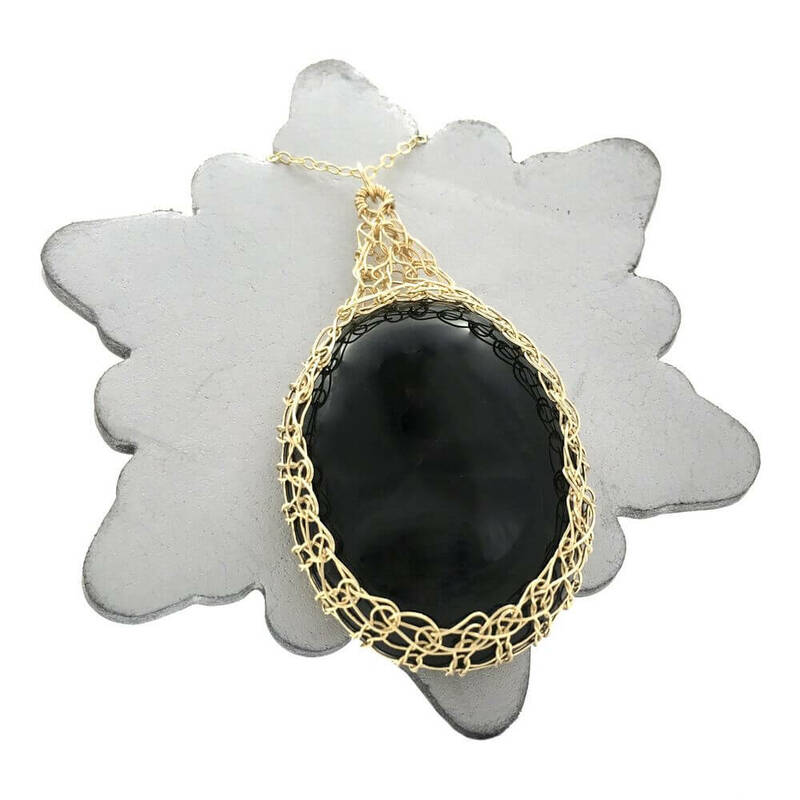 The dramatic contrast of the fine gold wire with the black onyx stone creates a sophisticated contemporary look. 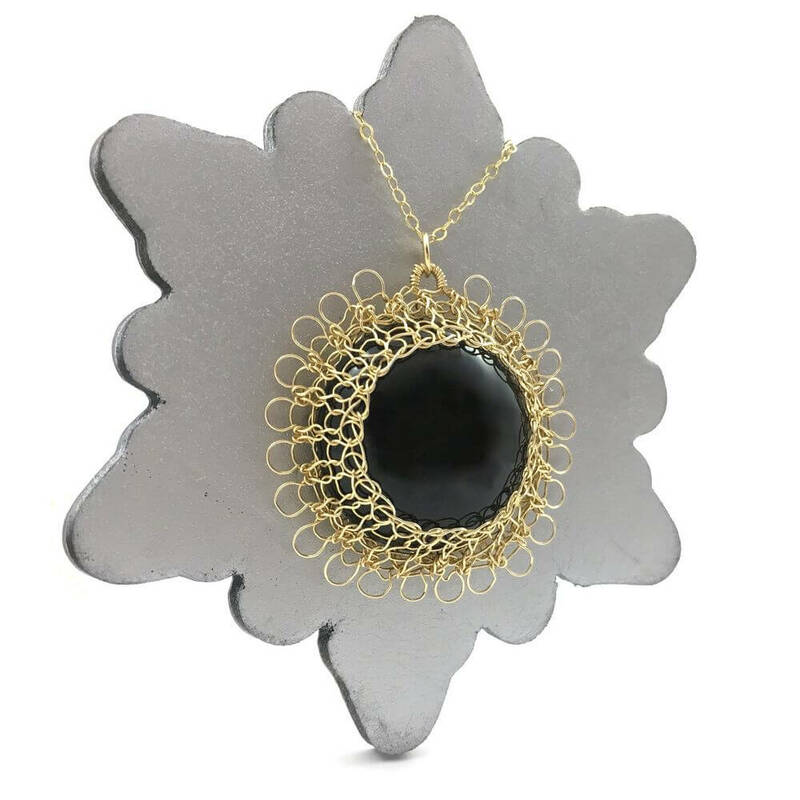 Black onyx is considered to symbolise stability and protection from negative energy, the Gold Onyx Sun Necklaces uses a smooth shiny stone at the centre with intricate wire work surrounding it crocheted in 14 carat gold filled wire. 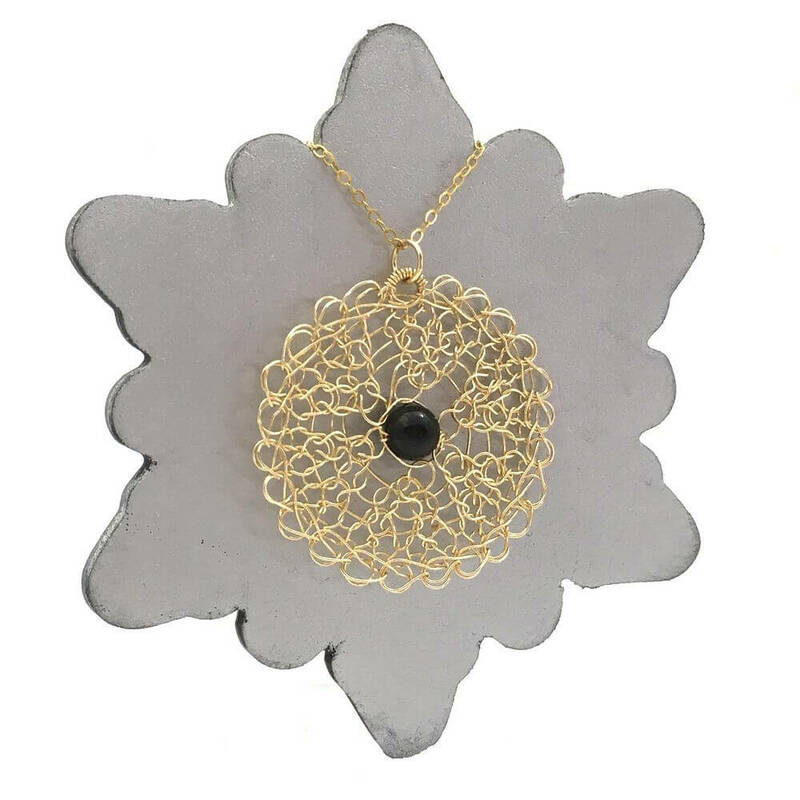 Hand-crafted to order, the Gold Onyx Sun Necklace is completed with a 14 carat gold filled necklace measuring 24 inches / 61cm and shipped within 3 days in a hand finished gift box.